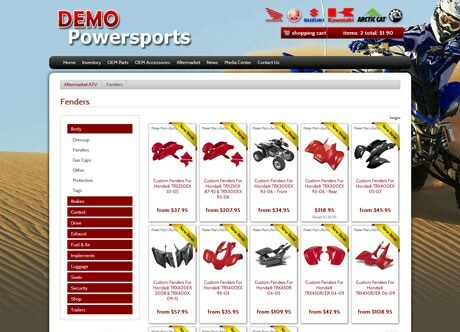 The vNext team brings a wealth of experience in Motorsports eCommerce, having developed websites for many of the leading eCommerce dealers in the U.S., as well as business applications used by OEM’s. vNext was founded on the premise that eCommerce solutions shouldn’t be costly, time-consuming or intimidating. If your dealership is looking to get online or if your current provider just doesn't hear you anymore, vNext is here to show you you have options. 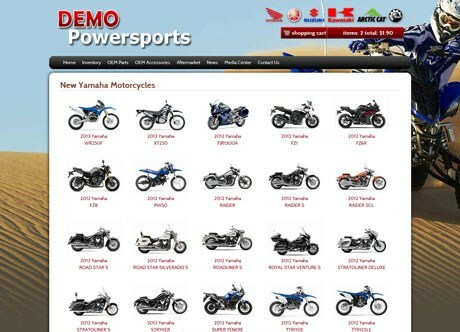 vNext Technologies is proud to be authorized by Honda, Yamaha, Kawasaki, Suzuki, KTM, Arctic Cat, Polaris, BRP and Cobra Motorcycle to provide online parts fiche solutions for dealer websites. 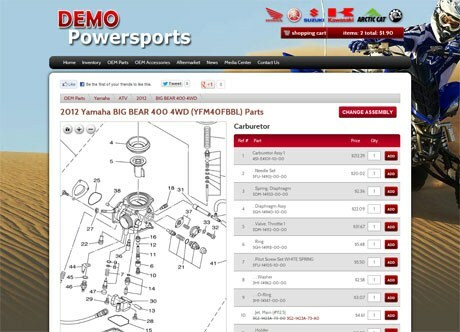 vNext's parts lookup utilizes an innovative design, where the diagram and parts list are side-by-side, eliminating unnecessary scrolling and providing a seamless shopping experience. vNext also offers OEM new model catalogs, OEM accessory catalogs and the leading aftermarket accessory catalogs. 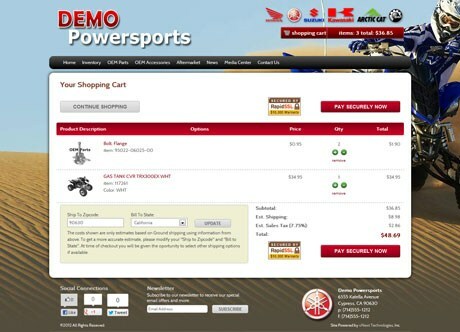 vNext Powersports Dealer Websites are integrated with popular payment gateways for automated payment processing. vNext sites are also integrated with the major shipping carriers for real-time shipping charge calculations. Integrated with popular payment gateways for automated payment processing. Integrated with the major shipping carriers for real-time shipping charge calculations.